What Causes Itchy Spots on Skin? Itchy spots on the skin can prove to be both irritating and painful when scratched. They can occur in specific areas anywhere on the body, and often appear as slightly raised bumps that itch, while the surrounding skin feels fine. 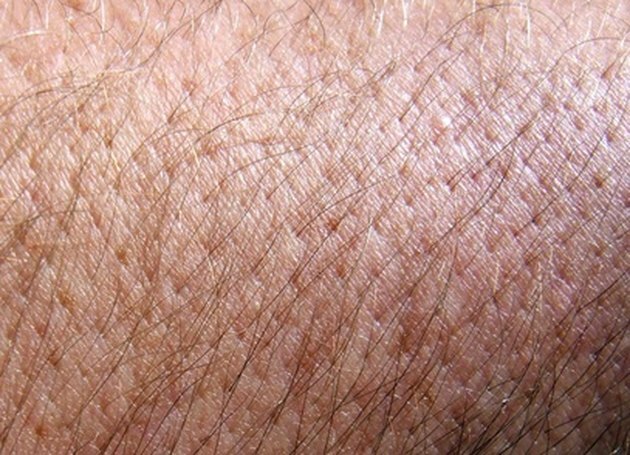 Sometimes, the location of itchy skin spots can provide clues to what caused them, Skinsight.com says. A variety of different skin conditions can cause itchy skin spots to form. If the spots appear on a person’s face, neck, or trunk, says Skinsight.com, the culprit may be acne. Itchy spots that show up on someone’s hands or feet may indicate either eczema or psoriasis, according to Skinsight.com. If itchy spots occur on skin in the genital area, Skinsight.com says that they may be caused by molluscum, lichen planus, scabies, or pubic hair lice. On the scalp, itchy spots may indicate lichen simplex, psoriasis, inflamed hair follicles, or head lice. When a person’s skin comes into contact with a substance to which he or she is allergic—such as a particular type of soap—the body’s immune system may react by forming itchy spots on the skin, the Mayo Clinic explains. Some of the other allergens that are commonly associated with itchy skin reactions, according to the Mayo Clinic, are: cosmetics, wool, poison ivy, chemicals and food. Bites or stings from many different types of insects—from flying creatures such as mosquitoes and bees, to crawling bugs like spiders and fleas—can cause itchy spots on the skin, according to Skinsight.com. When that happens, says FamilyDoctor.org, the itchy spots are usually colored red and sprinkled randomly across a person’s skin. When an insect bites or stings a person, says Skinsight.com, it injects toxins into that person’s skin that cause an allergic reaction, often leading itchy skin spots to form. Sometimes a disease in another part of a person’s body affects the skin by causing itchy spots on it. Some diseases associated with itchy skin, according to the Mayo Clinic, include: thyroid disease, liver disease, kidney disease, celiac disease, some types of cancers such as leukemia and lymphoma, and iron-deficiency anemia. However, the Mayo Clinic says that when the cause is an underlying disease, the itching usually affects skin throughout the whole body, rather than just spots in certain areas. What Causes Dark Spots on the Arms & Shoulders? What Causes Itchy Skin in Children?